For over 50 years Head Start programs have supported children’s growth and development in a positive learning environment through a variety of services with include Early Learning, Health, and Family Well-being. Head Start (ages 3-4) and Early Head Start (ages 0-3) serves children and families who meet eligibility requirements. Children from birth to age five who are from families with incomes below the poverty guidelines are eligible for Head Start and Early Head Start services. Children from homeless families, and families receiving public assistance such as TANF or SSI are also eligible. Foster children are eligible regardless of their foster family’s income. Head Start has a long tradition of success in helping at-risk children, their parents, and the communities in which they live. At the heart of Head Start services is the well-being of children—school readiness, and making certain that basic health needs are met and that social, emotional, and physical growth continues through life. 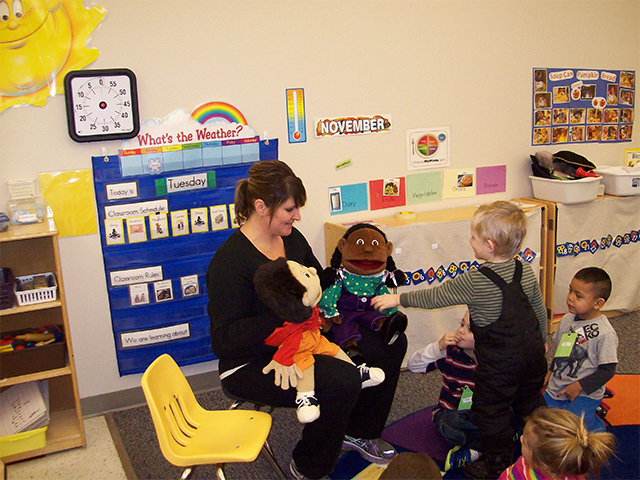 Head Start programs follow the Early Learning Framework and monitor children’s educational growth, as well as provide health and dental screenings. Head Start recognizes parents as their child’s primary caregiver and educator. They support and encourage parents to be involved in all aspects of the program and their children’s lives. Head Start supports parents through parenting classes and in setting and realizing education and job goals. They connect parents with resources to manage finances and education, to find the path out of poverty.